Tasmania is renowned for its natural wonders, but the reality still comes as a beautiful shock to many travellers. This is particularly true of Southwest National Park. 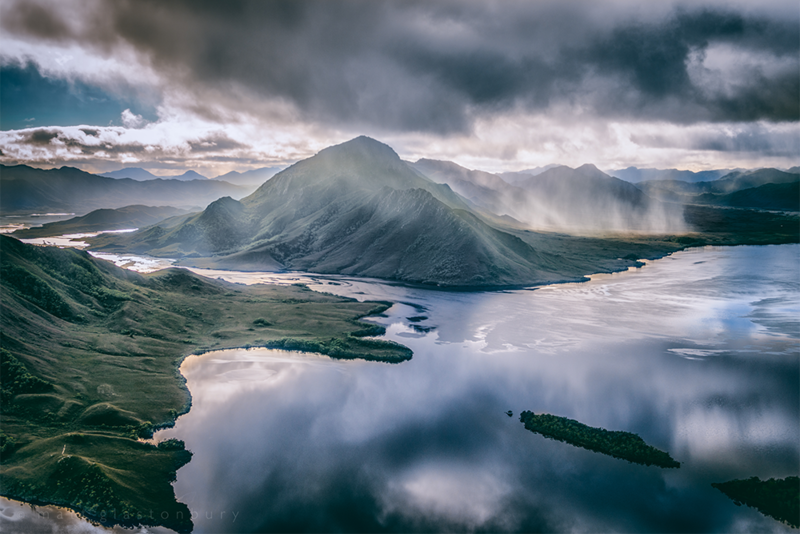 Stretching over 4500 square kilometres, the park forms part of the internationally significant Tasmanian Wilderness World Heritage Area, and its vast untouched landscape leaves visitors awe inspired. Despite these credentials, it is still a secret to many, but that’s part of the appeal. Southwest National Park is remote – no one lives there – and access is challenging, unless you recruit Par-Avion to help you experience the area’s once-in-a-lifetime magic. Par-Avion runs Southwest Wilderness Camp, an exclusive site located right on the shores of the mirror-like Bathurst Harbour. 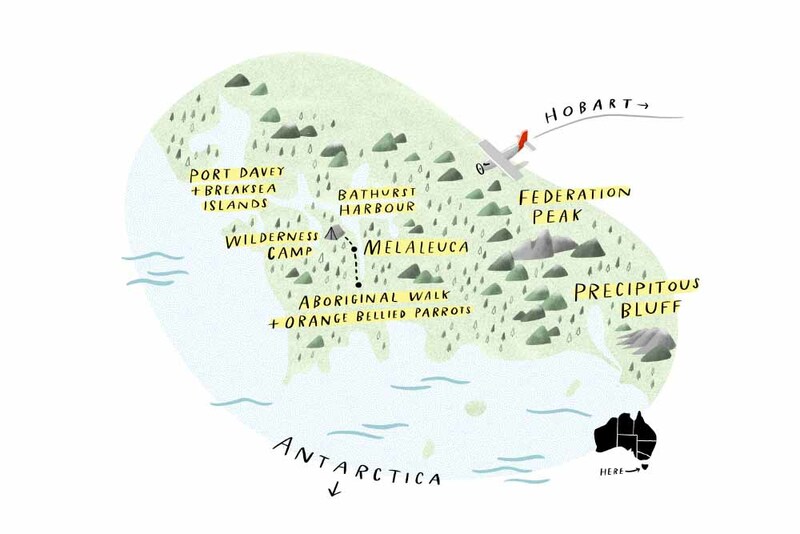 And when we said the park was vast, we meant it: the Port Davey/Bathurst Harbour Marine Reserve is three times the size of Sydney Harbour. The camp is the epitome of ‘location, location, location’. 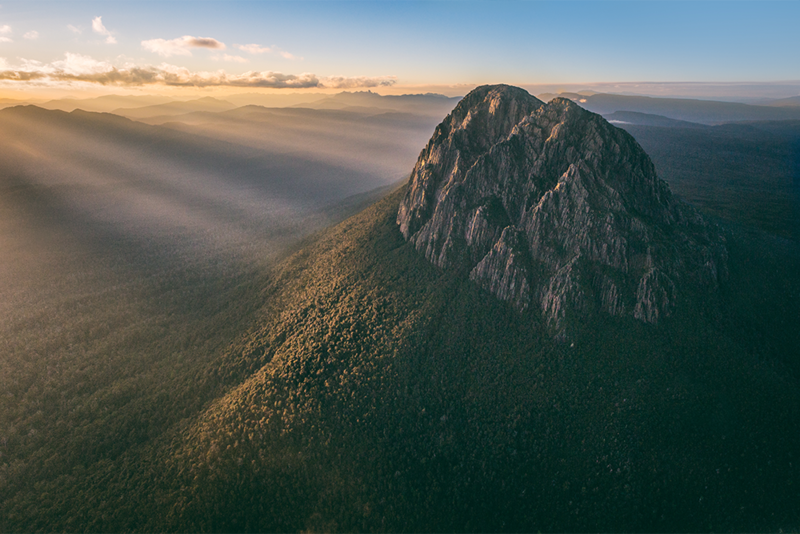 Arrival and departure also rank as highlights, with aerial views of Federation Peak, the Western Arthur Range, Precipitous Bluff and Tasmania’s rugged South Coast all part and parcel of the magnificent flight aboard Par-Avion’s twin-engine aircraft. Your first stop is Melaleuca, an abandoned tin-mining settlement where rare and endangered orange-bellied parrots are part of the charm. 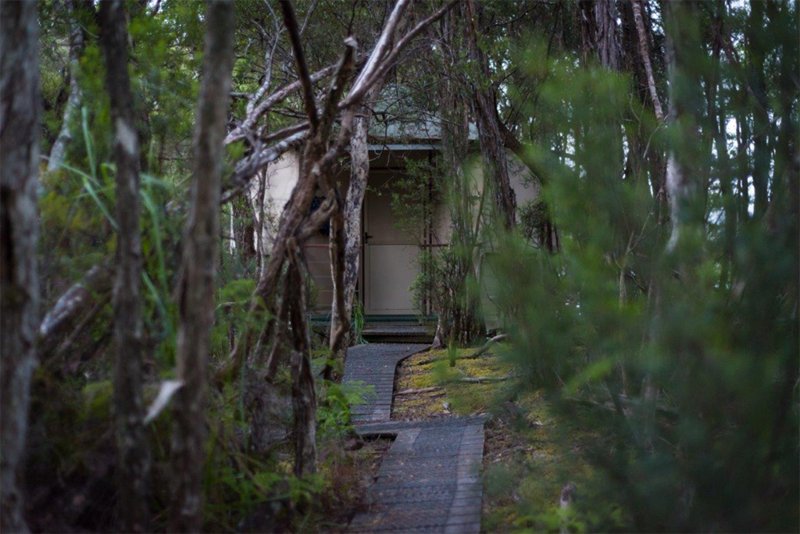 After morning tea and a stroll, you hop a boat bound for the rainforest camp via the sparkling waterways of the Port Davey Marine Reserve, with its 800-metre mountains rising from the sea. Offering up a range of experiences over multiple days, typical itinerary comprises three days and two nights. Its boutique camp huts, located in the forest, are warm and comfortable. Queen beds with luxurious linens, fluffy doonas and natural woollen blankets set the scene to snuggle up when the weather turns crisp. 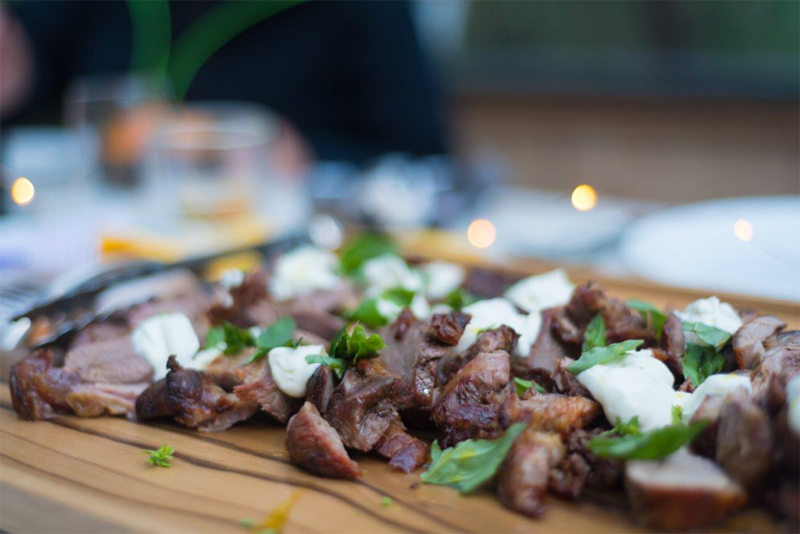 Gourmet meals showcasing the famous local food and wine are thoughtfully prepared by your guides as a delicious inclusion. While it may seem easy to get sidetracked by such luxuries, the pristine wilderness awaits exploration: forest walks, mountain hikes, historic sites, and jaw-dropping vistas. Of the many activities available here, a cruise through the Bathurst Narrows and on to the Breaksea Islands is among the most popular. The cinematic journey is framed by raw grandeur, as jagged mountains and the Breakseas pierce the wild ocean with great authority. Head out to the calm waters on the protected side, where bird life is abundant, and on the return leg don’t miss the ancient Aboriginal ochre cave at Schooner Cove. The beauty can be taken in from a different angle with a walk up Mount Beattie. Graded easy to moderate, the return trek takes about two and a half hours and offers magnificent, big-sky views of the entire park. 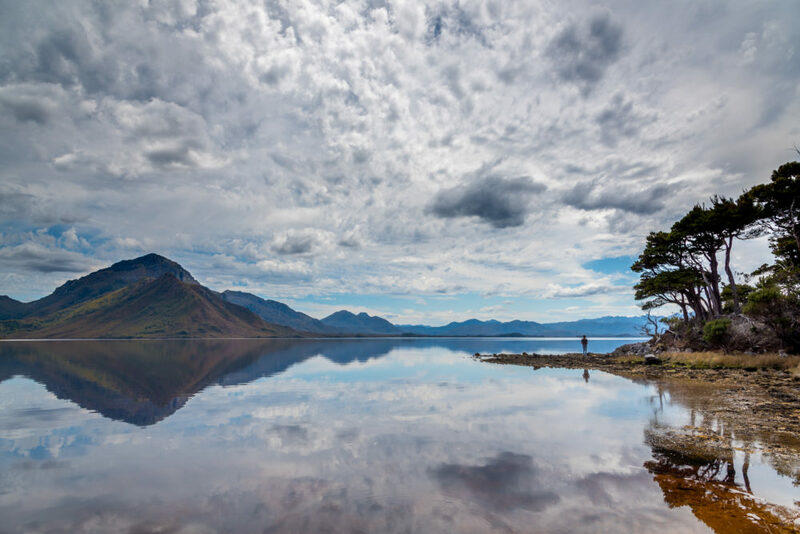 No matter the vantage point, Tasmania’s Southwest Wilderness Camp is set to take your breath away – with the advantage that you can replace it with some of the cleanest air on Earth. Par-Avion’s all-inclusive three-day, two-night Southwest Wilderness Camp itinerary is available from November to April and costs $2495 per person (subject to change).